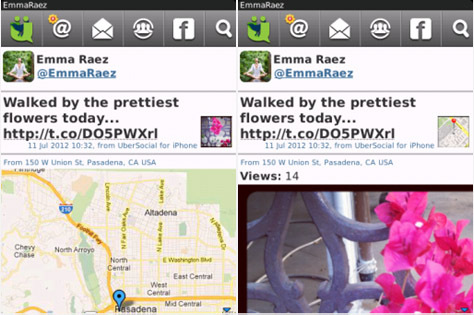 UberSocial v1.421 for Twitter and Facebook ( os6.0 ) - UberSocial: With so many easy-to-use features, it’ll make you feel like an octopus with 8 swiss army knives. -Fixed bug where avatars were not showing for users added to the Uber bar. You will need to remove and then re-add the users for their avatars to show up. -Bug fixes and resource utilization improvements.